We started with the multi-core Geekbench score for the mid-2018 15-inch MacBook Pro Core i9, and both the Core i7 versions, and divided this by the price. We did the same with the Core i7 and Core i5 versions of the new 13-inch MacBook Pro. The result is a figure we call “Geekbench per dollar”. As the processor gets better in each version, the price also goes up, naturally. The Geekbench-per-dollar figure indicates which is going up faster. In this case, higher numbers are better: the hope is that each dollar will buy better performance. But that didn’t happen with the 2018 MacBook Pro models. The benchmarks scores increased, but not as quickly as the prices did. Let’s see that in action. We started with the 15-inch version of this laptop. The top-of-line model has a 4.8GHz Core i9 processor, a Geekbench score of 22439, and a price of $3,099. The resulting Geekbench-per-dollar figure is 7.24. Next there’s one with a 4.3GHz Core i7 chip. This one’s Geekbench score is 21190, and its cost is $2799, so the GpD figure is slightly higher: 7.57. And then there’s a 15-inch version with a 4.1GHz Core i7 chip. This pulled in a Geekbench score of 21042, its cost is $2399, and the GpD figure is significantly better: 8.77. What this (hopefully not confusing) calculation is showing is that, for Apple’s latest 15-inch MacBook Pro models, paying a lot more money just gets you somewhat better performance. Next, let’s do the same calculations on the 13-inch version of this computer. The most expensive and fastest iteration boasts a 4.5GHz Core i7 processor, a Geekbench score of 17557, and a price of $2,099. The resulting Geekbench-per-dollar figure is 8.36. There’s also a configuration with a 3.8GHz Core i5 chip. This had a Geekbench score of 16453, and its cost is $1799, so the GpD figure is again better: 9.14. Those willing to forgo the Touch Bar can save some money, and will get correspondingly higher Geekbench-per-dollar figures. Apple uses the same two processor options, and assuming that leaving off this input method doesn’t change the Geekbench scores, the resulting GpD figures are 10.98 and 12.67, respectively. Apple’s price list shows which is the cheapest of its new macOS laptops. The Geekbench benchmarking scores show which is the fastest. But by combining these two we’re trying to show which is the best value. For the 15-inch MacBook Pro, the version with the 4.1GHz Core i7 processor provides the best performance-per-dollar ratio. For the 13-inch version, it’s the 3.8GHz Core i7 version. In both these cases, it’s the slower models that are preferable for those looking for value. We don’t really recommend using the Geekbench-per-dollar calculation to compare between the 15- and 13-inch devices. Screen size is something completely different from performance, and so it’s not reflected in the GpD figure. If you want a bigger screen, get a bigger screen. That brings up an important point: “value” is in the eye of the beholder. Or the purchaser, in this case. Someone who actually needs the fastest MacBook Pro available should buy the most expensive device. But for anyone who doesn’t have to have the best and the brightest, and wants to be sure they are getting their money’s worth, the Geekbench per dollar figure is a good indication of where that is. 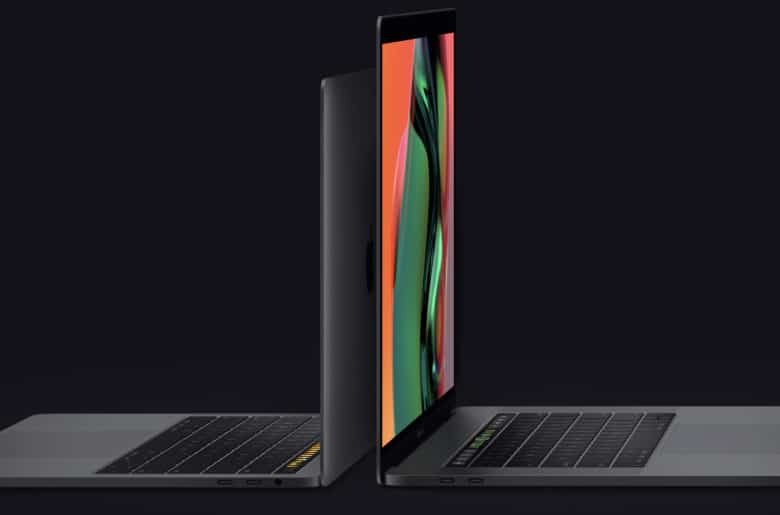 No matter the value, the 2018 MacBook Pro models are all dramatically faster than their predecessors. And every indication shows they don’t have the sticky keyboard problem of other recent MacBook Pros. Too bad they aren’t easier to repair. Editors Note: Thanks to Marco Arment for getting us thinking about this.